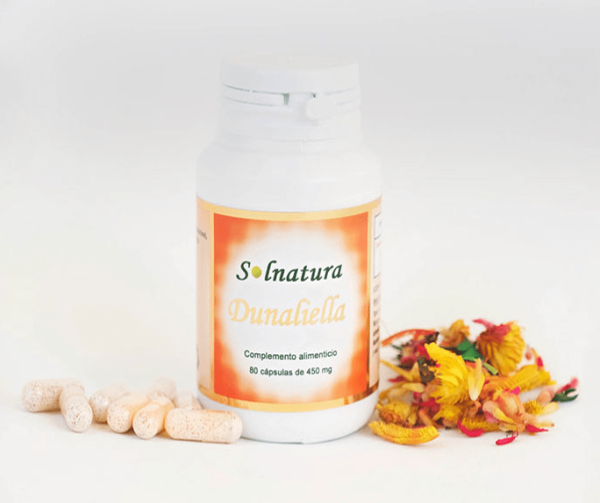 Dunaliella Beta-Carotene is a unique product based on the properties of the Dunaliella salina algae and the Urucú plant. Both with a high content of beta-carotene. 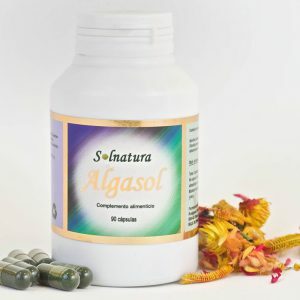 This nutritional supplement developed within the basic principles of naturopathic nutrition. The Dunaliella as a complement provides the organism with the natural health it needs. Beta-carotene is a substance that is present in fruits and vegetables, gives the orange or red color typical of some of them. However, in general, our diet does not cover our needs in beta-carotene or vitamin A.
Beta-carotene is transformed into vitamin A and is a powerful antioxidant that delays the aging of cells. 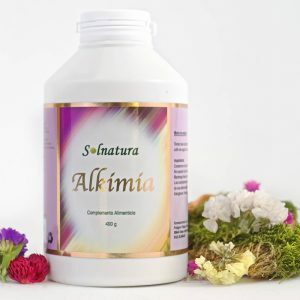 It has been shown that our body transforms this pigment into vitamin A and is also a powerful antioxidant of cells and therefore delays the aging of these. It seems to work by destroying free radicals and is recommended especially for smokers. There are recent studies that show that beta-carotene acts by stimulating the body’s immune process, preventing the degeneration of cells and tissues. The great power of beta-carotene is its antioxidant action capable of neutralizing the negative action of the oxidation of cells. Oxidation causes free radicals to form in the cells, responsible for our cellular aging. The tree is best known as the source of annatto, a natural orange-red condiment (also called “achiote” or “bijol”) obtained from the waxy arils that cover its seeds. The ground seeds are widely used in traditional dishes in Central and South America, Mexico, and the Caribbean, such as cochinita pibil, chicken in achiote and Caldo de olla. Annatto and its extracts are also used as an industrial food coloring to add yellow or orange color to many products such as butter, cheese, sausages, cakes, and popcorn. The species name was given by Linnaeus after the Spanish conquistador Francisco de Orellana, an early explorer of the Amazon River. The name achiote derives from the Nahuatl word for the shrub, āchiotl [aːˈt͡ʃiot͡ɬ]. It may also be referred to as aploppas, or by its original Tupi name uruku, urucu or urucum (“red color”), which is also used for the body paint prepared from its seeds. Way to take Dunaliella: 2 per day. Before breakfast.